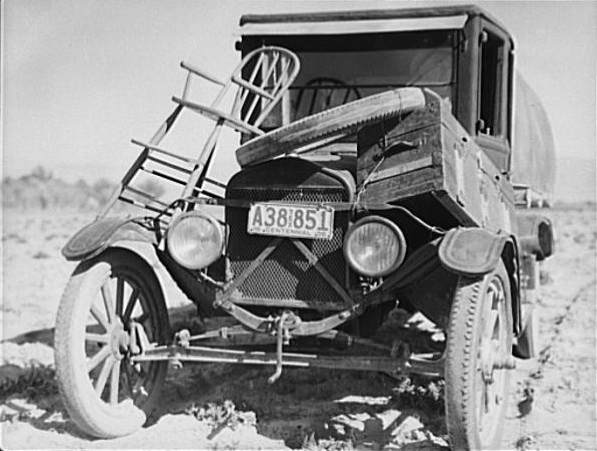 Car of Texas drought refugee family. Arrived in California 1937. Photo by Dorothea Lange. Copyright 2017 Grinning Gator, LLC. All Rights Reserved.